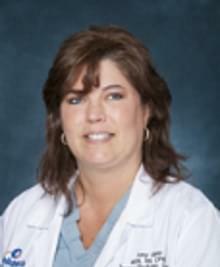 Amy has more than 22 years of nursing experience, and 13 years as a Pediatric Nurse Practitioner. In pursuit of warmer weather and sunny skies, Amy moved to Austin in 2011 to continue her passion to care for children who need pediatric surgery. In her free time, Amy enjoys traveling and fishing. I am passionate about teaching patients and families about their surgical procedures and ongoing care following surgery. I enjoy seeing a variety of surgical and trauma issues in my practice. It is rewarding to realize the impact one has on others as they are challenged with a surgical or traumatic event and then become well again.